Successfully Added 15 Seamless Bearings Right Hand Centrifugal Tuned Brake Low Profile Baitcasting Fishing Reel Blue to your Shopping Cart. HIGH QUALITY---CNC machined aluminum spool, high-tensile gear, aluminum high speed 6.3:1 gear ratio, superior shielded 15 corrosion resistant ball bearings. 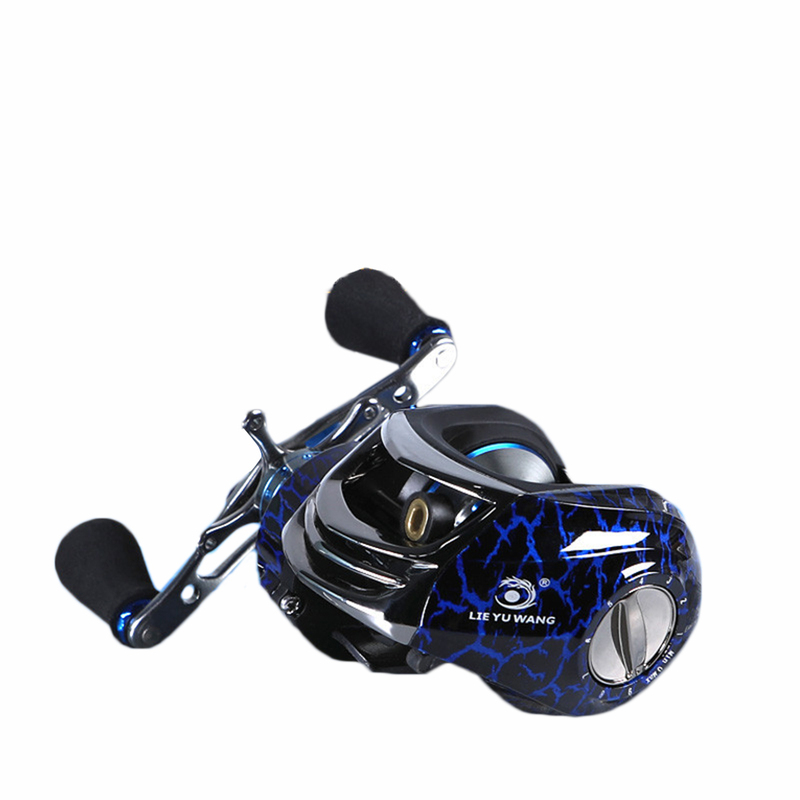 ACCURATE---Centrifugal brake system gives consistent brake pressure throughout the cast, has a adjustable button on the reel surface. Bark force from 1-9. SMOOTH OUTGOING LINE---The ceramic wire ring makes the outgoing line very smooth, and the line will not be broken. ANTI-SLIP HANDLE---The double shaking handle is made of high strength metal with EVA handlebar make you feel more comfortable. LIGHTWEIGHT---Super light, easy to carry. Very good fishing accessories. Light weight, portable and easy to carry.